The information on this page is mainly for our European customers looking for an alternative to the discontinued spreadbook.eu ordering system. We put a lot of effort into making RAD the best album design program and focus a lot on optimizing the sales process between the photographer and the end customer. 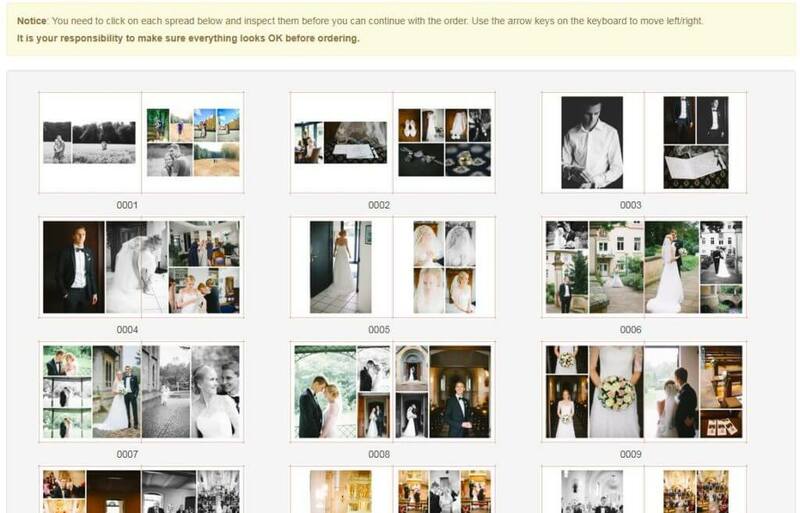 By adding the function “send to print” we now offer free album-proofing and an easy ordering system to customers using alternative album design programs. At the moment it is possible to order good quality & inexpensive photo-books from one manufacturer only: Mercatomomento. 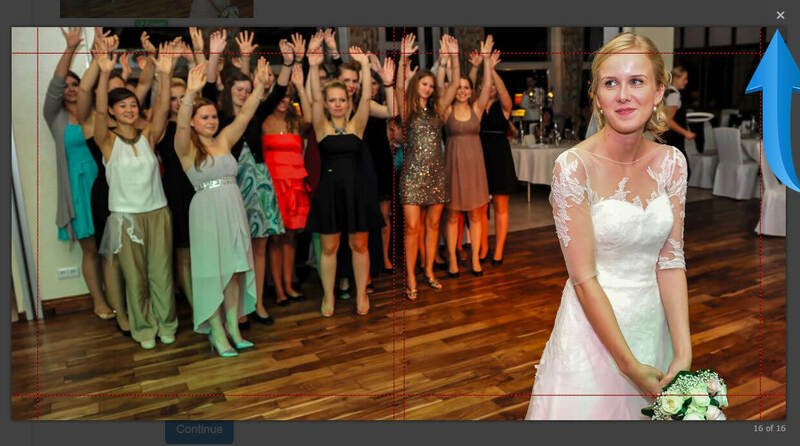 These basic photo-books replace the popular “Saal-albums” with a photo cover. 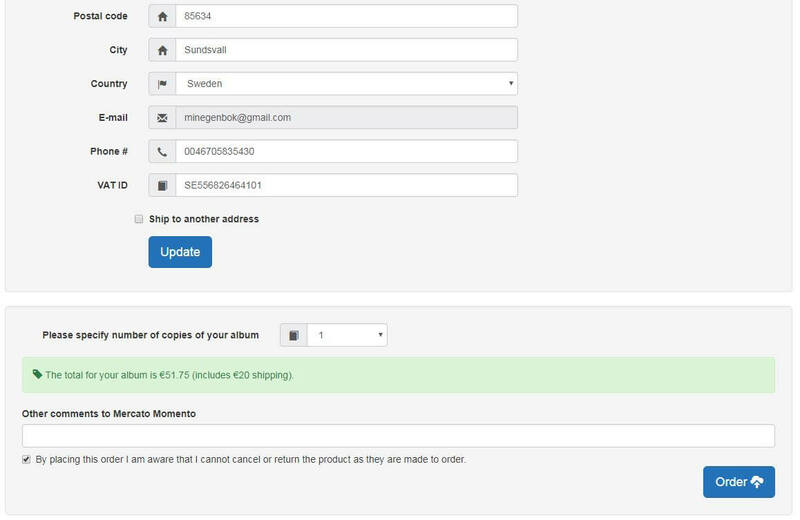 We are working on adding more options and also more album companies in the near future. Ordering these albums is very simple. Log in to your RAD account and choose the “send to print” option. Upload a photo cover and your spreads. We show you the exact dimensions in pixels for your chosen album size and strongly recommend that you only upload files matching exactly these numbers to avoid auto-resizing! 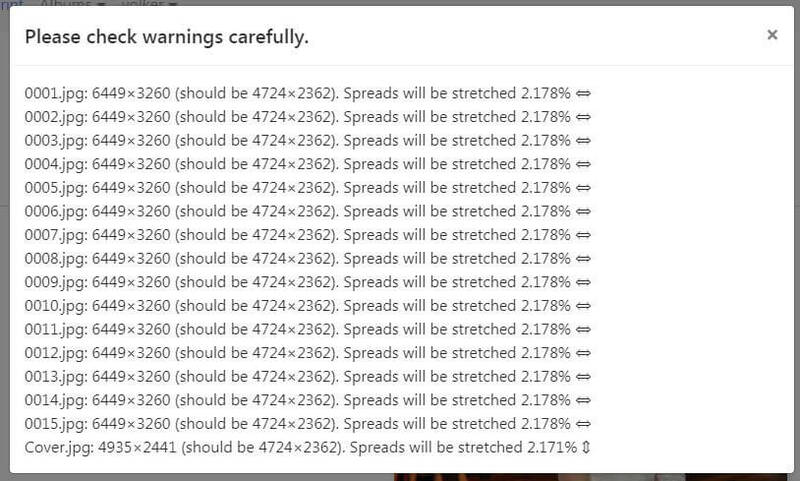 Depending on your internet connection speed and number of spreads, uploading the highres files can take some time. After reading the general information, confirm the size of your photo-book and press the “Export” button. When the export process is finished you MUST click on every spread in order to double-check that everything looks exactly as you want. After confirming your layout please close the proofing by hitting ESC or clicking on the cross in the right corner. The last step to complete your order is to check your contact details, shipping adress, VAT number, and the number of books you like to order. Within a few working days you will receive an order confirmation and payment details from Marton at Mercato Momento. A few days after you have transferred the money your products will arrive at your doorstep. 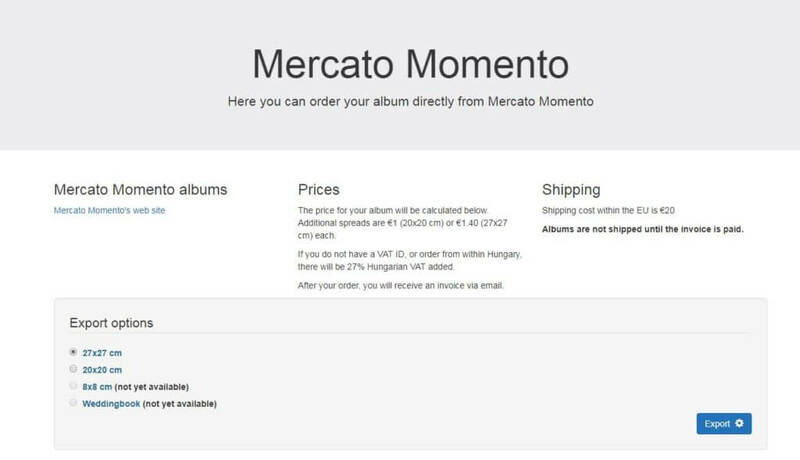 IMPORTANT: Until we have implemented a shopping & payment provider we have the agreement with Marton that he puts all albums ordered within a 24 hour period in one parcel. If you need to get in contact with Marton directly his e-mail adress is balogh.marton@mmplusz.hu. 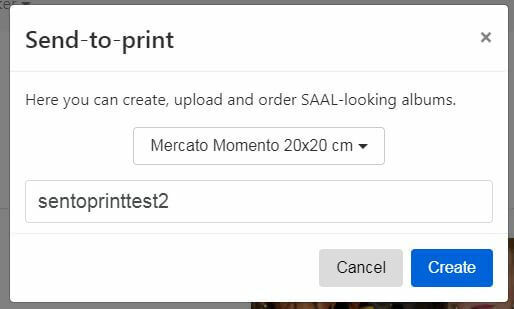 If you instead want to order directly from Saal-Digital then you can follow our guide here. We to be a part of your success story!